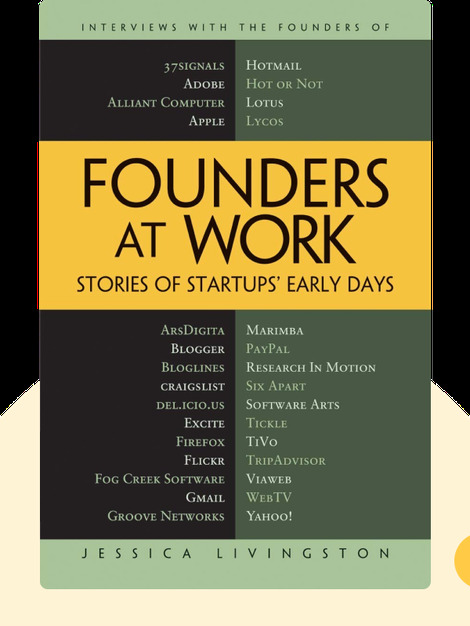 Founders at Work (2007) is a revealing look at what went on in the early days of over 30 influential US startups. In their own words, the founders of landmark companies such as Hotmail and Blogger.com tell their stories about the many ups and downs and twists and turns it took to make their ideas a reality. They also share the lessons they learned and the insight they’ve gained looking back on the trials and tribulations of those chaotic early days. 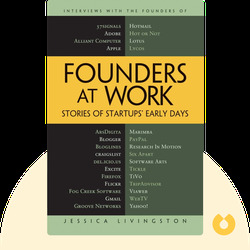 Jessica Livingston is one of the founding partners of the startup accelerator Y Combinator, which has advised and invested in a number of successful startups including Dropbox and Airbnb. In 2015, she became a financial backer for OpenAI, a nonprofit dedicated to the responsible and safe development of artificial intelligence.